Beloved masters, the ascension process is initiated when you become aware that you are out of harmony with your God-self and our Mother / Father God, which leads to a desire to make life changes. Thus, a Divine discontent ignites within as you seek your own highest truth, and the desire to transmute and release past transgressions begins which, ultimately, includes the process of forgiving all others as well as yourself. Maintaining a state of harmlessness is the foundation of the ascension process. Discord begins from within and is triggered through misqualified thoughts. There are many levels and stages of ascension: personal earthly ascension, whereby you gradually balance and harmonize your chakra centers which in turn triggers the process of clearing your physical vessel and your auric field of discordant energies. This begins the process of downloading the upper portion of your MerKaBa to create a star tetrahedron, the MerKaBic field of Light. As you progress in consciousness and attain a more refined resonance this basic field of Light will gradually transform into the MerKiVah, which is the Light vessel of ascension. Thus begins the solar system and galactic ascension process for humanity. Ultimately, we will experience the universal ascension process together. This phase of ascension will take place in the far-distant future; however, we in the higher realms of existence have had glimpses of this prodigious cosmic event and, we assure you, it is so magnificently complex and awe-inspiring that it is beyond your present comprehension. You, the Star Seeds on Earth at the present time, have a vast, rich and glorious past, and this critical assignment on planet Earth is only one of the many important missions you have accepted in your long journey into the great void of unmanifested space. Many of you answered the call from the far-distant regions of the Omniverse in order to be a part of this universal experience. Before you began your decent into density, I promised you that we would reunite when our universal assignment was complete, and we would go forth together under the guidance and command of the Supreme Creator to the next glorious task of carrying out the mandate for the creation of new worlds and star systems, perhaps, even a new universe. The Essence of the Supreme Creator resides in your diamond-core God Cell deep within your Sacred Heart which was placed there before you began your journey into physicality. The attributes, virtues and qualities of God-consciousness were stored within the chakra system and a reserve of Adamantine Particles were also placed within each chakra. To advance on the spiral of ascension, you must take the Sacred Fire you personally need to become a self-master; and then you must share your newly gained wisdom with others in order to proceed to the next level of en-lighten-ment. This is a universal law, and if you do not share your Light and your wisdom, the energy flow of God particles will gradually diminish. Pure motives and intention, a loving attitude and a desire to live your truth as it has been revealed to you, along with a will to be of service are vital if you are to traverse the spiral of ascension successfully. You may advance slowly upon the path of evolution by connecting with and drawing forth the Sacred Fire from your own God Self; however, you may call upon the ascended masters, the archangels who are ever ready to assist you or any of the great Beings of Light you resonate with. Ask them to overlight you with their qualities, virtues and attributes. This will put you on the path of accelerated transformation and will help you to attain the necessary Light quotient to move to the next level of God-consciousness. Your advancement on the path is carefully monitored by your Higher Self. If the inner light of awareness shines too brightly too soon, it can be a strain on the conscious mind and the ego desire body, thereby creating a battle for supremacy. Whatever energy you draw forth, qualify and direct out into the universe becomes your sole responsibility and will surely be returned to you some day, either in a positive or a negative form. This is the law of karmic cause and effect. Each soul draws forth a quantity of its God-Self essence in proportion to the life's mission it assumes for a particular incarnation. The choices you make as a physical entity with free will determines how much of your storehouse of Sacred essence you will have access to and can benefit from. Remember, the unconditional love you embody and project contains the formula for igniting the Sacred Creator Fire within. You must be vigilant in maintaining an energetic signature/ frequency pattern of the highest resonance in order to assure a constant flow of the Sacred particles of Creator Light from the higher realms. Beloveds, we are rapidly clearing the way for you to become Divine messengers, inspired teachers and initiates of a new way of existence. The Divine Rays which originated within the heart core of the Supreme Creator are refracted Light of stupendous power, which has been stepped down and refracted through the prism of our Father / Mother God's consciousness via the Great Central Suns of this universe. Humankind has been living in the shadowlands since the sinking of Atlantis. Humanity gradually forgot the source of their being, thereby sinking deeper into polarity; and thus the broad spectrum of duality began. You will learn the lessons of life through experience, suffering or grace. Which will you choose? You must clear out your emotional storehouse of the past, the old emotional grudges and self-judgment that lower your self-esteem and empowerment. Very few souls have been privileged to have access to the wisdom teachings of ascension which are now being revealed. Before the Earth year 1930, the secret wisdom teachings were only given to the most spiritually advanced souls by the ascended masters within the retreats and ashrams around the world. These teachings were called 'occult wisdom' which means hidden or veiled. Also in1930 a Divine dispensation was granted, which was the first time since the final sinking of Atlantis that the knowledge of the individual I Am Presence was given to humanity; and the transforming energies of the Violet Flame were accelerated in preparation for the forthcoming ascension process of humanity and the Earth. As you learn to use the universal laws of manifestation, it is of vast importance that you discipline the mind and clearly define what you wish to create, for as you assume the mantle of an empowered Self-master, you will more readily create or become that which you focus on. In the past, your desires, thoughts and intentions were foggy, unclear and unintentional, and were often influenced or ruled by the sub-conscious or unconscious mind. The science of the soul will guide you along the path of soul education and spiritual evolution. The wisdom teachings of today could be called a passport for ascension. Pure motives and intention, a loving attitude and a desire to live your truth as it has been revealed to you, along with a desire to be of service are vital if you are to traverse the spiral of ascension successfully. What good is information if you do not use the knowledge to gain wisdom, thereby assisting you to draw forth more Sacred Fire or God Particles of Creation, the full-spectrum Metatronic Light which contains stepped-down Supreme Creator Light, instead of the half-spectrum primal life force substance that has been available to earthlings since darkness put a cloud over humanity's consciousness and your life-force was greatly diminished? True spirituality means adhering to the living truth and is not practiced just one or two hours a week as in done in most religious ceremonies. It is an incessant burning desire to be in constant communion with Spirit. Humanity must move past the shallow waters of orthodox worship into the mystical river of life. Akashic records are vibrational patterns--positive or negative--which are stored within the cosmic library which contains the total history of creation. White fire God cells, called Adamantine Particles, are the essence of your Being. That is what is referred to in the saying 'You were made in God's image.' Each of you must learn how to draw forth the Sacred Fire containing Adamantine Particles of Light necessary for your ascension, and for the ascension of the Earth as well. The ascension flame must come through the hearts of men and women like you in order to be accessible and beneficial to the Earth and humanity. The more Adamantine Particles you draw forth from the cosmic river of life, activating them with your own precious gift of love and then allowing the major portion to flow through you out into the world of form, the more your allotment will increase and the more god-like you will become. Through you, the Light and power is blended with your earthly essence and stepped-down or transmuted to acceptable frequencies to be used by humanity and also to be integrated into the Earth. Through your efforts, this Divine elixir of life is now available to the animal kingdom in a greatly modified way, and it will also be used by the devic and elemental kingdoms to nourish and replenish the nature kingdom. 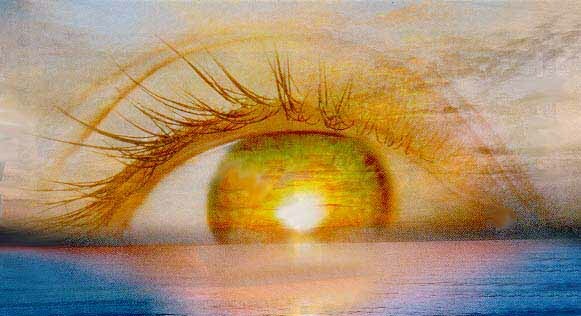 It is important that you understand, the rays of Creator Light nourish and sustain all Creation. The Sacred Sites around the Earth were fueled with the cosmic energy within the great crystalline spires which were implanted in strategic places around the world when it was first created. You, the Star Seed, are now the living sentinels of Light who are acting in the capacity of Bearers of the Living Light. Light Packets which contain advanced information which is sometimes difficult to decipher are being down-loaded to those who have begun the process of unifying the Sacred Mind and the Sacred Heart. In time, this will become a normal process; however, for the time being, you must allow yourselves time to turn inward and contemplate what is being given to you so that you can transform the knowledge into wisdom and integrate that which rings true to you. You must then put your newly-found wisdom into action which will gradually enhance your Light quotient and will add a new vibrational pattern to your Soul Song. Ask yourself this question before your sleep time: What have I contributed this day to the human/earthly storehouse of wisdom and loving energy? Living in a state of harmlessness in the NOW moment is your goal. Remember, with greater gifts comes greater responsibility. As you become more proficient as cocreators on the earthly plane, you must constantly monitor your energy patterns and seek to upgrade them. You must strive for sustained harmony and refined godly expression. You must liberate the power of the Sacred Fire within which has lain dormant for many thousands of years. You must learn to direct and focus your energy into the areas of your life you wish to change. By establishing and constantly upgrading your Creator Wheel of Life, you are planting the seeds of focused change and you are supplying the Sacred Fire of Creation needed to manifest what you have envisioned. When you can do this proficiently, your personal world will become a wonderland, and you will become a beacon of Light for all to see. Copy freely and share. However, we ask that you share this message in its entirety and give proper credit.